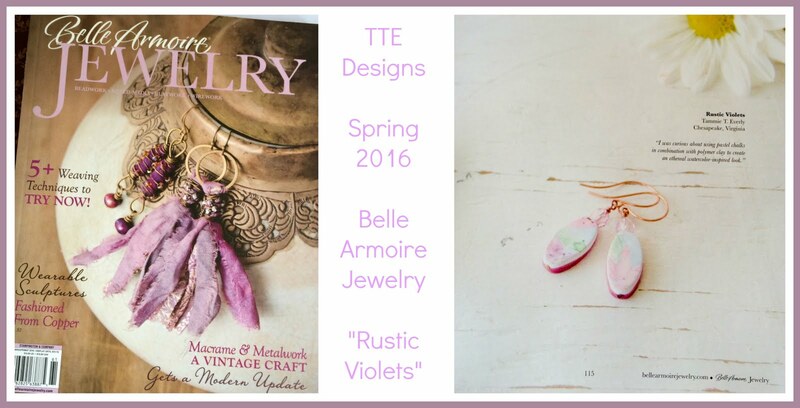 Goodness, it's hard for me to believe that I have now had my TTE Designs blog for a year this month. This time last year we had just closed on the sale of our house near DC and were crashing with my mother-in-law for a couple of weeks prior to our move to Chesapeake, VA. I had only a few tools and supplies with me, as most everything was packed and I was feeling stagnant. I had a personal blog previously when we lived on Guam, to keep our family up to date, but hadn't done much with it once we were back in the states. So with plenty of time on my hands, May of 2012 seemed like a good time to launch a blog. I'd like to beg your indulgence to share a few stats. As of this writing I've had 14,225 page views~Amazing! I am blessed to say that 130 people have agreed to follow my musings. I've had over 500+ comments from visitors. The top referring sites are Facebook, Google and Pinterest and the most searched keywords all included the words "top hatter"referring to the online auction site. I wasn't surprised to see that most of my page views came from the USA, but I was interested to see that Russia was number two, followed by the UK, Canada and Germany. I try to post often, regular features include 'Pinterest Monday', 'Wordless Wednesday' and 'Thrifting Thursday' in addition to other jewelry musings and a few more random topics. So there are the dry facts, now let's have some fun. The winner will be chosen by Rafflecopter on Sunday June 6 based on the total number of valid entries. Let me say a huge THANK YOU ~ I am humbled and honored that readers generously spend their time here and leave such lovely comments too. Tammie, I love your summer series. The colors are beautiful. 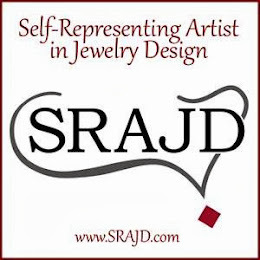 I like to hear about different jewelry designs and how you achieved them. I like the more personal side, kinda getting to know you. Jewelry tutorials, contests etc. I enjoy reading all of your posts, but if I had to pick a fav, I would choose your recycling posts. Tammie, I "follow" you everywhere already! ha! But I went back through some of your recent blog posts, as I do sometimes fall behind. I enjoyed reading the wide variety of topics you covered, but my absolute favorite post was the one you did on patinating brass blue! What a great result! 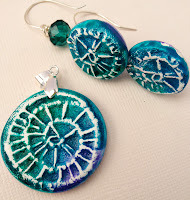 I liked that you referred back to Melinda Orr's tutorial on Artisan Whimsy too! I got double the learning and photographs! I'm ready to give it a try now! Did I mention how lovely your beads are?! Would love to win any of those! Thanks for your generous give-away!!! oh wow! hard to choose, but I think I love that pink and yellow set the best. your stuff is great, Tammie. I'm sure that is one reason my set I keep getting first place with has done so well, because of your poly beads. Happy Blogiversary, Tammie! I enjoy just about any kind of blog post. Blog hop reveals and tutorials are probably my favorites. Love that green set. 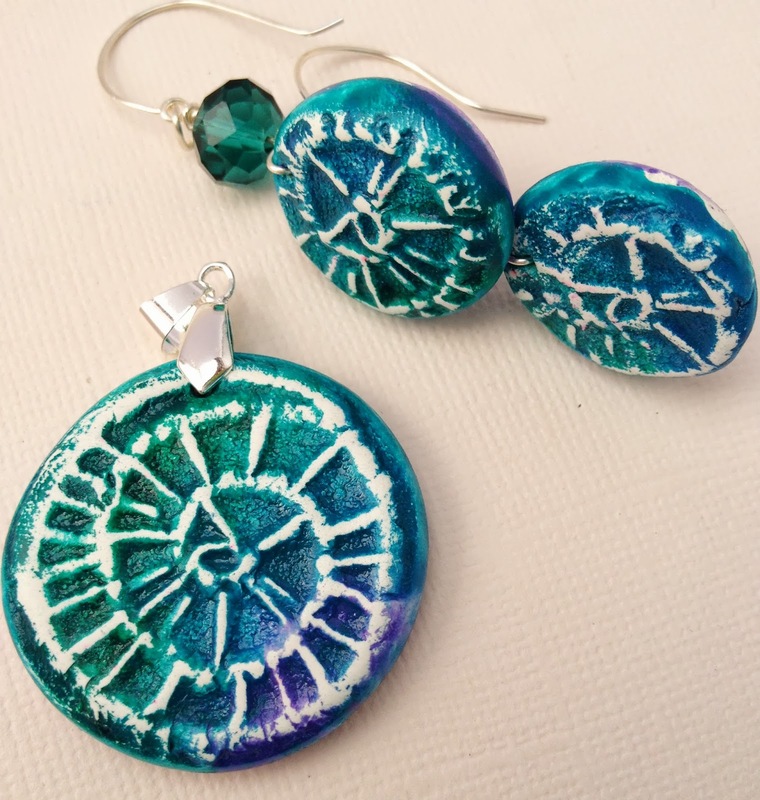 I like reading posts about the creative process and/or what inspired you to do a certain piece of jewelry or bead. Congrats Tammie! What a wonderful milestone! I do like to check out your Pinterest Monday posts, but enjoy posts just about what is going on in someone else's corner of the world. I enjoy all of your posts Tammy, but recent ones I've really enjoyed have been the ones about your display at craft shows. Your summer collection is delicious! I like all your posts, but Thrifting Thursday is great fun - I love to see what you come up with! I enjoy reading tips on different techniques! I like all kinds of blog posts. They get my creativity flowing. Also love thrifty Thursday's as I am an avid yard saler... But too lazy today to go! Oh, so hard to choose.......I can't pick...really enjoy them all!!! Ooops, as far as blog posts I am a fan of anything Thrifty and do like to see what everyone else scores! Not sure how I missed this post, Tammie... glad you included the link at the Anklet BH post. Happy belated blogiversary! I'm not sure if I'm following your FB since I spend so little time on FB, but I'm gonna check right now! I love all your posts but I'm partial to your Polyvore! Beautiful colors!!! Happy blogiversary - mine will be in two weeks as well! I prefer the blog posts with your creations. Happy blogiversary!!!! Just found you. I have enjoyed reading your blogs. I like that their so informative & I've learned something new. I don't know a lot about patina - ing. So really enjoyed that. Thanks for the opportunity to win your products. Will follow you from now on. I'm a follower and a fain! I love your blog hop/challenge posts.